ANDREW COUNTY, Mo — A driver and a child were both injured in a single vehicle accident in Andrew County this morning. 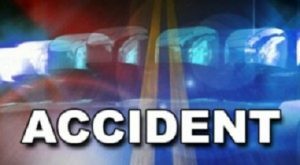 According to a crash report, a vehicle driven by Jacob Diggs, 30, of St. Joseph was northbound on Business 71, approximately one mile south of Savannah at 7:04 this morning. It was reported that Diggs fell asleep while driving and travelled off the east side of the roadway. The vehicle struck an embankment and became airborne, coming to rest on the east side of the roadway. Diggs and a 9 year old passenger, who were both wearing a safety device, were transported to Mosaic Life Care in St. Joseph for the treatment of minor injuries.